Our CPU of choice is the Intel Pentium G4560. While it features only two cores, the G4560 also employs hyperthreading to help close the gap between it and a 4-core i5. Hyperthreading adds an additional logical core for each physical core, which is handy for streaming, video editing, and multi-tasking CPU-intensive tasks. The G4560 includes a stock cooler, so a 3rd-party cooler isn't necessary. Due to stock and availability concerns, the guide includes both the G4560 (3.5GHz) and its slightly faster brother, the G4600 (3.6GHZ). The G4560 tends to have excellent price/performance ratio, but it also sells out frequently. In the cases where it is sold out, the G4600 will be the CPU shown on the list automatically. We're using a parametric filter to select the best-priced 2TB mechanical drive. Unfortunately, with the rising cost of NAND, in addition to the rising cost of video cards due to the current mining craze, we've had to cut out the SSD in order to keep this build more budget-friendly. Everyone's needs are different, so feel free to increase capacities or add an SSD to fit yours. All of the components are housed in the Thermaltake Versa H15 mid tower. This case is straightforward, offering cable management holes, front panel USB 3.0, and an external 5.25" bay for components such as an optical disc drive. What kind of gaming can this CPU handle? I'm helping my friend replace his 2008 desktop which he is still playing League on. Trying to get him into more PC games such as Overwatch or PUBG. If anyone who did this build can chime in on your own experiences. I have a g4560 + gtx1050 and i can run most new games at medium to high settings around 60-100 fps depending on the game. This pc can run overwatch at 80 settings on high, and i can bet it'll run league pretty good. From a personal exp., it will play the new hitman, wolfestine 2, and shadow of war. But you may need to drop some settings from high or ultra to medium. What SSD will work with this build? Also, any suggestions for wireless network adapters? Any SSD is going to work. Do some research about what speeds you require for your needs and capacity. It really depends what you want to spend on it. You could look a little deeper to find a board that supplies wireless networking itself, but that difference in price may not justify buying a part (that you could use elsewhere, later). Can this play OW or Stream + OW? You could alternately run two machines: your gaming PC, which would be good enough to run the games at your desired settings AND a box that handles the streaming. It wouldn't require dedicated graphics but a capture card instead. Shouldn't have any trouble with overwatch. I think most benchmarks have this build's fps in the 100s for overwatch. Not sure about streaming - the low core count could give you some issues. Look up this build on youtube there are a lot people that have built this pc and run fps on common games. I am a small YouTuber looking to start out somewhere and I recently got a job and I am getting paid soon. This is the cheapest gaming setup I could find and I was wondering if I would be able to record/stream RUST with decent frame rate and maybe let's say, medium quality. Would I be able to have around 60 FPS doing so? Not with integrated graphics. Unfortunately, Intel's graphics are insignificant for gaming, you'd need to find a dedicated card. CPU-wise, you may have some trouble editing and rendering video, but no lag in-game if you aren't streaming. If you are streaming it may be better to go with the entry level AMD build, due to the much higher thread count in the Ryzen 5 2400G. you sound like you know something about building care to share some advice? You do realize the build uses Parametric Filters for picking parts, right? I would say 'yes' considering my secondary (kids') computer is a q9550 and a 1050, non-Ti. The game runs between 60 and 90 FPS @ 1080p in game, over 110 on the lobby island. Would this be able to handle Elite Dangerous? I am in the process of ordering the necessary parts for this build, minus the GPU for the time being. Without the GPU will this run fortnite, destiny 2 and the sims at med to high? The iGPU for the g4560 isn't very good as the APU used for the AMD build. Thanks, do you think I would have issues without the 1050 TI while I am working on saving up for it? What GPU would you recommend? The GTX 1050 TI is included in the build when they are available for under $200 dollars. A couple days ago they were $194. I have been looking for a used GTX 960 to use. You might be able to play sims. But you will have trouble with fortnight and especialy destiny 2. I ended up finding a used Sapphire R9 270x(2gb), completed my build a few days ago and it has been running Fortnite on low at like 120 frames and Overwatch on low at like 140 frames. D2 ran at like 80 frames. Perfect for what I need. I don't get how a pc could be this cheap but still run all the esport titles, I mean many professionals have stated that you would generally need to spend more for a decent gaming pc. Could someone give me a brief explanation on why this can run such games? This build could be at about 500-600 bucks with the price of a current gtx 1050 ti. It doesn't have a GPU listed at the moment. Only GTX 1050's are found under 200 right now, not the ti variant. Because those professionals are very very very wrong. You can run esports games such as CS:GO, LoL, Overwatch, etc even without the GPU if you don't mind turning the graphical settings down a lot. "Esports games" tend to be easy to run or well optimized for the pc. They are, most often, games most people can run without buying a gpu. How much FPS will I get in Fortnite and CSGO on low, medium, and high settings with this build? I see no GPU listed, sooooo it won't do you well. You could scrape by the CSGO low settings, but not Fortnite if you want to at least be able to see weapons and people in the distance. Just a suggestion: You can get the regular GTX 1050 for $150, much less than TI variant. Replace 1050Ti with the 1050 and you are set. Dropping down to the 1050 will cost you some frames but you can game most AAA titles at modest settings. With current GPU mining craziness, the low end (1050 or lower or RX560 or lower) or super high end (Titan XP/V) cards are the only available that are not subject to severe markups. I came across a sapphire dual x r9 270, used for four months for $75 is this worth putting into this build at least for until I have the funds to get a 1050ti? The r9 270 is not that much slower than a 1050Ti I would buy and upgrade to a 1060 when funds permit, not worth it to invest in a 1050Ti if you already had an r9-270. r9 270 would serve your gaming purposes until you are ready to invest for a 1060 or its next gen iteration. Thanks, hopefully prices start to come down in the near future. I will stick with the r9-270 for the than being. Was able to pick it up used for $75. Ha! I still remember the day when my dad bought our first cpu. That consisted of pentium, 512 MB RAM, 350 gigs hdd. And all my friends drooled over that system. Those were the days. Will this build run games and adobe products well, and I’m confused about that video card, where is it. They are using a filter to find a 1050 ti <$200. It isnt finding a 1050 ti in that price range so no gpu apears in the list. Dosen't have GPU in it put if you put a 1050 TI then it will be around $660 USD dollars. How would this build do in CSGO? Settings? what do you do for wifi? Can this run games like GTA V, The Witcher 3, CIV 5/6, and plane simulator games?? How about Ryzen5 1600 or 1200? You will still need a graphics card so consider getting the GTX 1050ti or a GTX 1050 or RX560 if you can't go beyond $200. Can I install Linux (Ubuntu or Mint) in this machine? Will there be any hardware compatibility issues? I will be building this over the next little while... Whats the best video/documentation to learn to put everything together? How many FPS may I get if I play dota 2? this might be a dumb question but i'm new to this, would a Intel Core i5-8400 Desktop Processor 6 Cores up to 4.0GHz Turbo LGA1151 300 Series 65W BX80684i58400 be compatible with this build? You'll need to change the board since Coffee Lake isn't compatible with B250/H270 boards. Would this run Fortnite decently? I've been looking for a pc that can run it since all I have is a Mac currently and it can't even launch Fortnite. Currently waiting for the Coffee Lake version of this build guide. Could this run Forza Horizon 3? 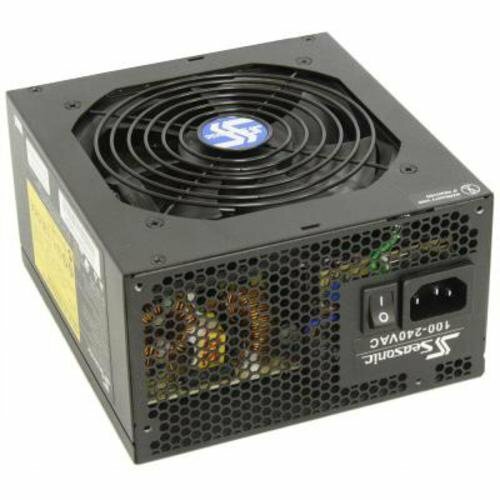 Does this build have every part needed besides keyboard and mouse and monitor to work? Can this run Fortnite at 60+ fps on medium or higher settings ? If you check the amazon page for the RAM it actually costs £110. dont listen to the "price", with a 1050ti, it will be somewhere in the ballpark of about 5 to 6 hundred. The issue with adding a 'better CPU' is that the chipset requirement MAY then change and then the motherboard will jump up in price, too. An i3-8100 is only about 112$, but requires a 3-series chipset, which means mobos start at over $100, even for the entry tier. The G4560 includes a stock cooler, so a 3rd-party cooler isn't necessary. Also, keep feedback polite and constructive. I should learn to read more thoroughly. cheers.